Thank you for joining hundreds of thousands of readers from around the world who, like you, are committed to leading well – to achieving breakthrough results, without losing your soul. We’re curious what you would consider the best leadership articles you read this year (either here or somewhere else)? 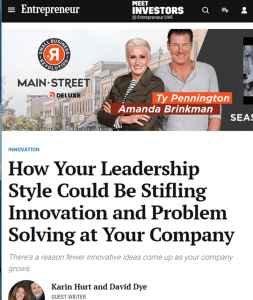 Please the links to your favorite leadership articles in the comments so others can leverage the resource. It feels like a nice thing to say. You want them to know you care about them as people; that everyone cares about each other; and we may fight at times, but we always come back together. We are all about genuine caring and connection. 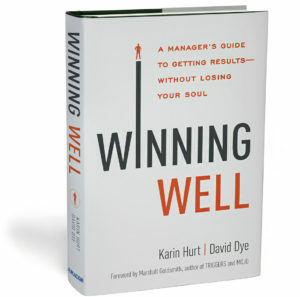 Winning Well leaders focus on both results and relationships. 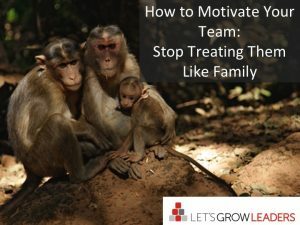 However, there are three problems with comparing your team or company to a family and they can badly undermine your leadership and your team’s effectiveness. We heard from many of you that this was a helpful way to reframe your desire to build great relationships – but not in a way that does more harm than good. 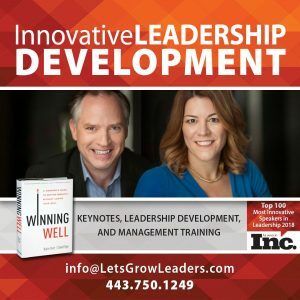 As we work with thousands of leaders around the world and watch them start using Winning Well leadership and management strategies, we’ve seen a common theme with who succeeds over time. When it comes to changing a culture or transforming results, they don’t just start – they finish. Here’s the deal: life is busy. You’ve got more to do than time to do it. Your plan is going to get interrupted and your interruptions are going to get interrupted. If you don’t have an intentional, focused way to finish what you start, it won’t happen. We’ve worked with so many passionate, caring leaders who struggle to translate their great intentions into real-world results. The missing ingredient is almost always some aspect of “finishing” – the extra effort to ensure that the next steps are taken and that everyone keeps their commitment to one another. #3 What Do I Do if They Cry? Let’s be real. No one likes to hear what they’re doing wrong, particularly if they know you are right. Giving feedback is tough. Hearing tough feedback is even tougher. 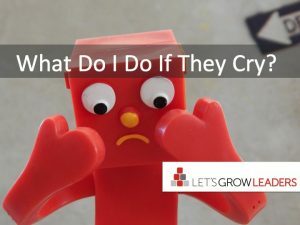 What do you do if they cry? Some emotion is normal and healthy, but when someone regularly cries when receiving feedback (or regularly has extreme angry outbursts) it is often a defense mechanism. Judging by the comments, this was our most controversial article of the year. We heard from many readers who were concerned that we were against crying. We’re not – crying is a healthy emotional response. We want to help leaders with productive responses when crying becomes unhealthy. Check out the comments and add your thoughts. What a great question, and one we hear frequently. If you’ve allowed your team to slide and have chosen being liked at the expense of achieving results, you’re not alone. The good news is that when you recognize the need to practice team accountability, you can start with a few achievable steps. This is another article we wrote in response to a concern we’ve heard from many leaders in addition to Sarah. It’s never too late to be a better leader! 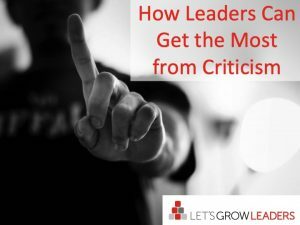 Too often, leaders take criticism or negative feedback and either ignore it (at the cost of their credibility) or overreact to it and paralyze themselves. 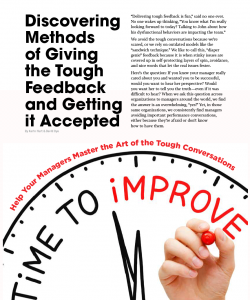 Critical feedback can be a gift, but it’s how you use that gift that makes the difference. This year we had several articles in major publications that dealt with the phenomenon of FOSU or Fear of Speaking Up. As we’ve spoken about it as well, readers and audiences have questioned us about the over-sharers and constant critics. If you’ve got one in your life, this article will help. Do you ever feel like you’re just a bit under-qualified for your current role? Are you constantly waiting for the other shoe to drop? Do you lie awake at night, thinking of ways to cover up your weaknesses so no one will notice? If so, you’re not alone. The Imposter Syndrome is real — and most of us get there more than we’d like to admit. 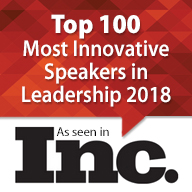 I felt the sting of imposter syndrome just as my speaking career was gaining traction. If you ever feel like “everyone’s going to find out the truth,” we’ve got a secret for you: most leaders feel that way. The ones that don’t could probably use a little more humility. Imposter syndrome doesn’t have to paralyze your leadership and this article will help. We’ve seen quite a few meetings that bog down and turn into colossal wastes of time. One of the biggest reasons this happens is because no one knows who owns the decision. 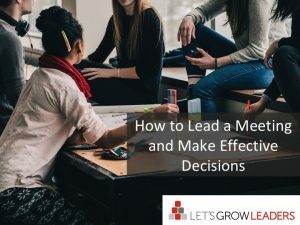 Clear that up and you’ll be amazed how much more efficient and productive your meetings will be. Year after year, this article continues to be one of the most read. Your ability to lead through multiple levels has a huge impact on your influence and effectiveness. See why this continues to be a favorite around the world. Which children’s books are the most helpful in teaching leadership to kids? I posed this question in my online leadership communities, as well as to parents, and a children’s librarian. The suggestions came pouring in. So many of us have fond memories of reading as a child and of reading with our own children. Thank you to all who shared your stories of the stories you love and the meanings they hold. 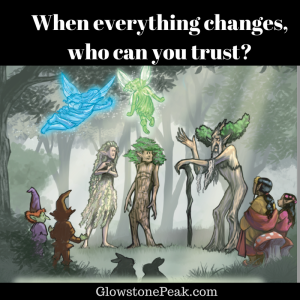 One highlight of our year was the release of Glowstone Peak, our leadership-themed children’s book. This is another perennial favorite that helps you develop leadership in children through the power of fantastic stories. Twice this year someone has told me “I am proud of you.” Both times, I was surprised to find myself really choked up. My reaction was so strong that I got to thinking about why. I wanted to understand what it was about THIS recognition that made an impact, so I could do a better job of giving THAT kind of recognition to others. There is something about being recognized at just the right time, by just the right person, with just the right words. When done well, those words can stay with us forever. Encouragement never goes out of style. 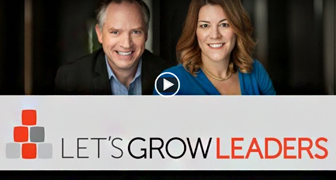 If you’ve been looking for more ways and words to encourage your team, start here. If you’ve worked in a larger company, you’ve likely seen FOSU rear its ugly head. But, why is it happening to your company now? This is just the beginning of our work around courageous cultures and eliminating FOSU. We’re neck-deep in an extensive research project with the University of North Colorado as we lay the foundation for our next book. More soon. Karin shares one of her signature keynote stories with SHRM HR Storytellers. This was fun as the interview took place unexpectedly a few minutes after she left the stage keynoting the SHRM Volunteer Leaders Summit. We avoid the tough conversations because we’re scared, or we rely on outdated models like the “sandwich technique.” We like to call this, “diaper genie” feedback because it is when stinky issues are covered up in self-protecting layers of spin, avoidance, and nice words that let the real issues fester. Here’s the question: If you knew your manager really cared about you and wanted you to be successful, would you want to hear her perspective? Would you want her to tell you the truth—even if it was difficult to hear? When we ask this question across organizations to managers around the world, we find the answer is an overwhelming, “yes!” Yet, in those same organizations, we consistently find managers avoiding important performance conversations, either because they’re afraid or don’t know how to have them. In this article, we share our I.N.S.P.I.R.E. method for having tough conversations. This topic continues to be one our most popular keynote and training programs. As you reflect over the past year, What has been the most valuable leadership tool or strategy you’ve learned and implemented? What difference has it made? 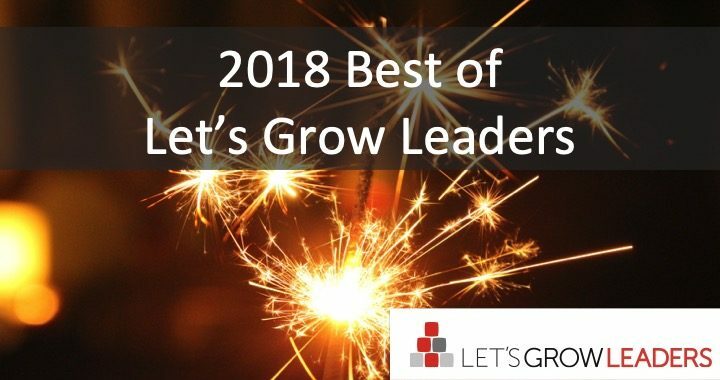 What are the best leadership articles you read this year (on LGL or anywhere, please share the link in the comments below to expand this resource.